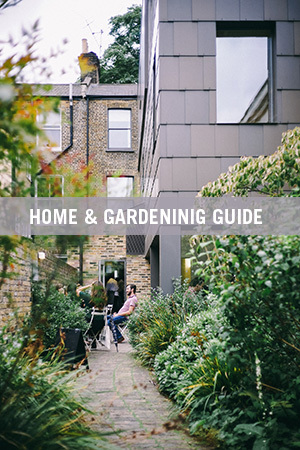 Keeping your home functioning optimally year-round requires a bit of planning and effort. For the summer months, those preparations begin in the spring. The following seven summer preparation tips will help you get the most out of your home, while conserving energy and even saving money. The life expectancy of your air conditioning system greatly depends on the routine maintenance that it is given. Through this maintenance, energy consumption is reduced and the unit is more capable to efficiently cool your home. The condenser unit is fairly simple to clean. 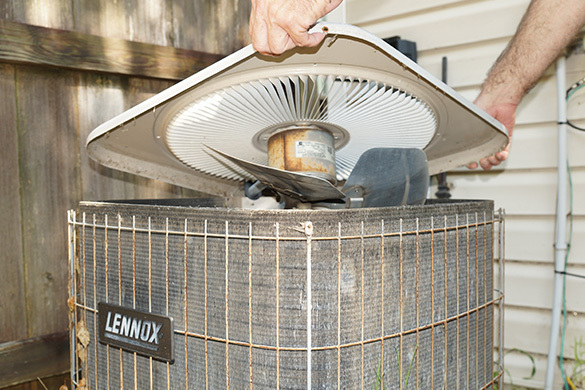 In the beginning and end of the cooling season, the unit should be vacuumed, cleared from debris and have any damaged or bent fins straightened. Read How to Clean Your Air Conditioning Condenser Unit for complete instructions and cool pictures. For the rest of the air conditioning system, including the ducts, annual professional maintenance and cleaning should be scheduled. This will keep the entire system running flawlessly when needed most. 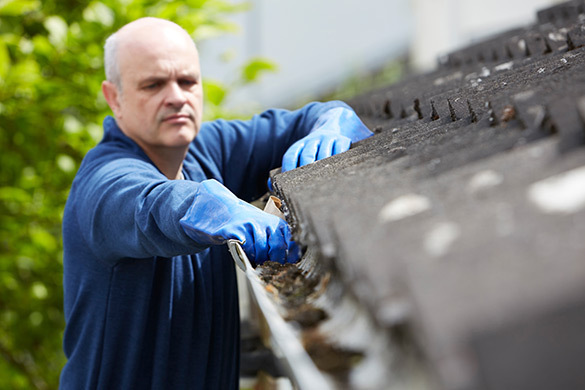 Inspecting the Roof: There are two great ways to examine your roof for leaks and damage. The first and most obvious is to get up on the roof or get to a good vantage point to see and inspect it. 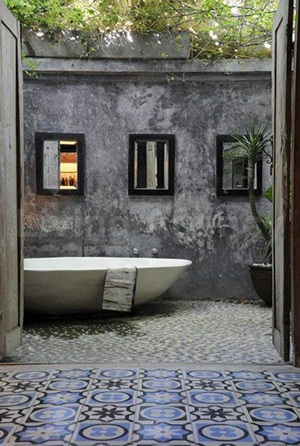 If you notice damaged tiles, repair or replace them. The second way is to go to the attic on a sunny day. With the lights off, inspect the roof’s internal paneling for points or rays of light. If light is getting through, water will too. While in the attic, with the lights on, inspect the floor for stains or water marks. If you determine that your roof is leaking, take action immediately. Damages from this type of leak can cause major structural damage and can become very expensive to fix. Inspecting the Exterior Walls: Take a slow walk around the outside of your home. Whether you have siding, stucco, etc., look for cracks, chips, flaking paint, or anything out of the ordinary. Make appropriate repairs for anything you may find. 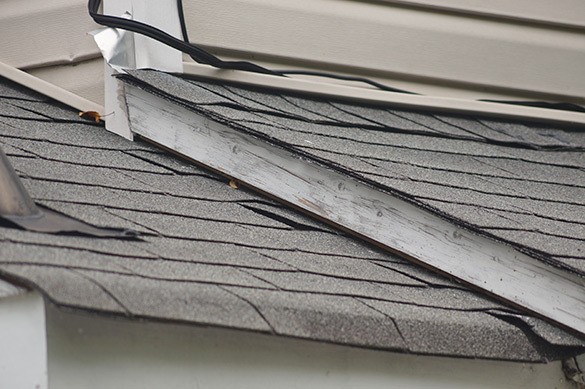 Over the months, debris builds up in your gutters. Make sure they are secured firmly to the roof’s framing and cleaned out. Double check the filters on the downspouts to ensure they are clean and able to function properly when needed. Take the time to pressure-wash, repair and/or repaint any damaged areas of the gutter and downspouts. If the hoses are showing signs of wear or have started leaking, take immediate action and get them replaced. 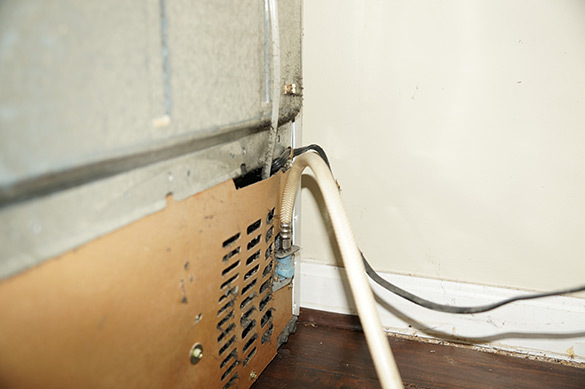 The failure of any of these hoses may result in the flooding of your home. 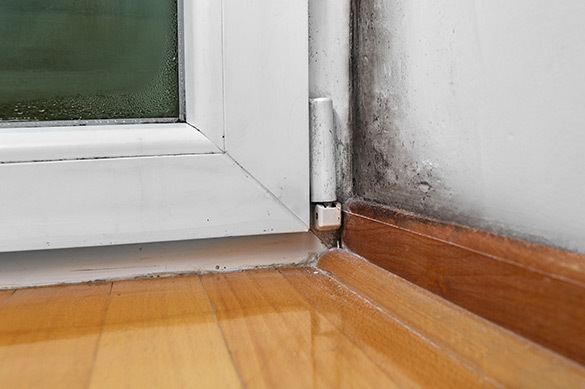 Mold and mildew require a dark damp and still area in order to thrive. This search will take you to the darkest corners of your home (literally). Starting in the attic, work your way down to the crawlspace or basement. Using a flashlight, check behind and under the fridge, the washer, cabinets, under the sink, behind the toilet tank, etc. If you find mold or mildew, keep in mind that household cleaners will only fix the problem superficially. Even bleach does not completely kill the fungi. Calling in a professional is a great step to permanently fixing this issue. Until then, remember that mold and mildew need darkness, dampness and still air to thrive. Removing any of these three factors will dramatically slow its growth until the issue can be solved. 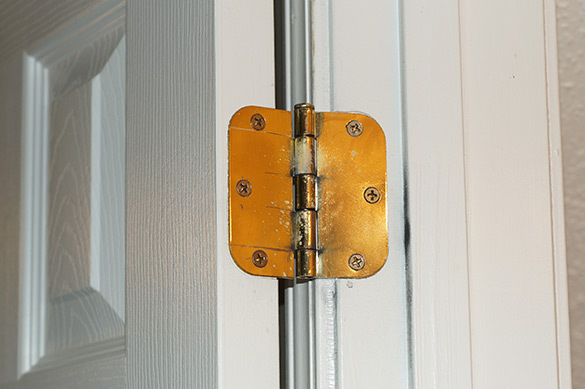 Your door knobs, hinges and latches throughout the house should be tightened and lubricated. Use this activity to inspect the door frame and its surroundings. Look for warping and for cracks in the wall around the door frame. The faucets in your home will most likely have an aerator. This is a screen-like attachment which literally aerates the water as it exits the faucet. Beware, it is also a sediment trap! 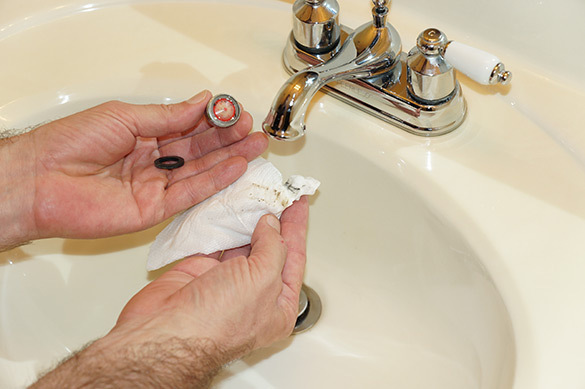 Most aerators can be removed by simply unscrewing them from the faucet. Clean it, replace it (if damaged) and screw it back into place. Remove the shower head and inspect the arm and threads for corrosion. Clean the filter on the shower head (if needed) and refasten the shower head to the arm. Consider replacing your shower head for one that is water efficient. Considering the cost of repairs after structural damage, flooding or severe mold cases, it is much more cost effective to set a maintenance routine and schedule professional maintenance and inspections on an annual basis. The value, beauty and health of your home and its occupants depend on the proper functioning of the home’s structure, fixtures, and appliances. Take action before you are forced to take action. Visit www.homeandgardeningguide.com/repairs/scheduled-maintenance/ for more scheduled maintenance articles, resources and how-to tips.